Classroom parties, work parties, neighborhood parties, etc., etc., are headed our way this Halloween season. Amanda here today with a fun and easy treat idea that you can put together when it's your turn to bring the treats. Doodlebug's new doilies are the perfect size for wrapping up a Dum Dums sucker, and the polka dot doilies make them look extra cute. I die cut a little box to put all of the little Dum Dums ghouls on display. Adding wiggle eyes to each pop makes them look pretty cute and a little creepy which is perfect for Halloween. 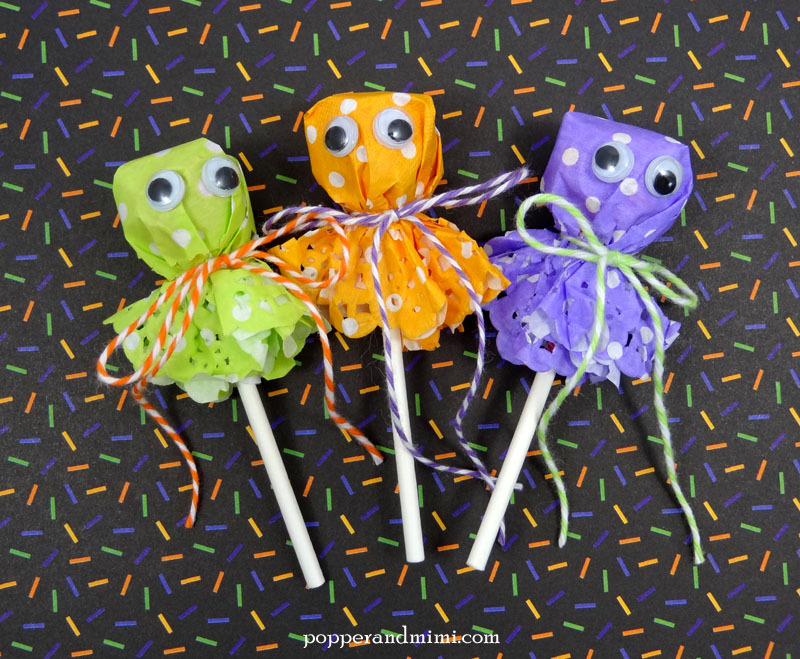 Making the doily wrapped Dum Dums is pretty easy. Simply fold a doily around the sucker and secure with twine. Adhere a couple of wiggle eyes with glue dots and you're done! 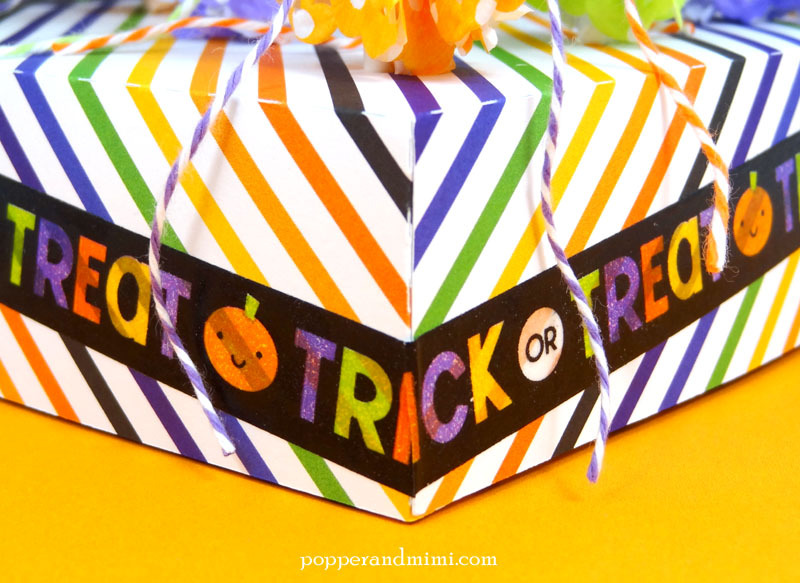 These would make a great treat for a classroom Halloween party, or, if you are feeling really ambitious, you could make one for all of the trick-or-treaters who come to your door. The inside of this sucker stand box has nifty little insert to help keep the suckers in place. I adhered a strip of washi tape to the sides of the box and trimmed the tape so the words lined up on the corners. 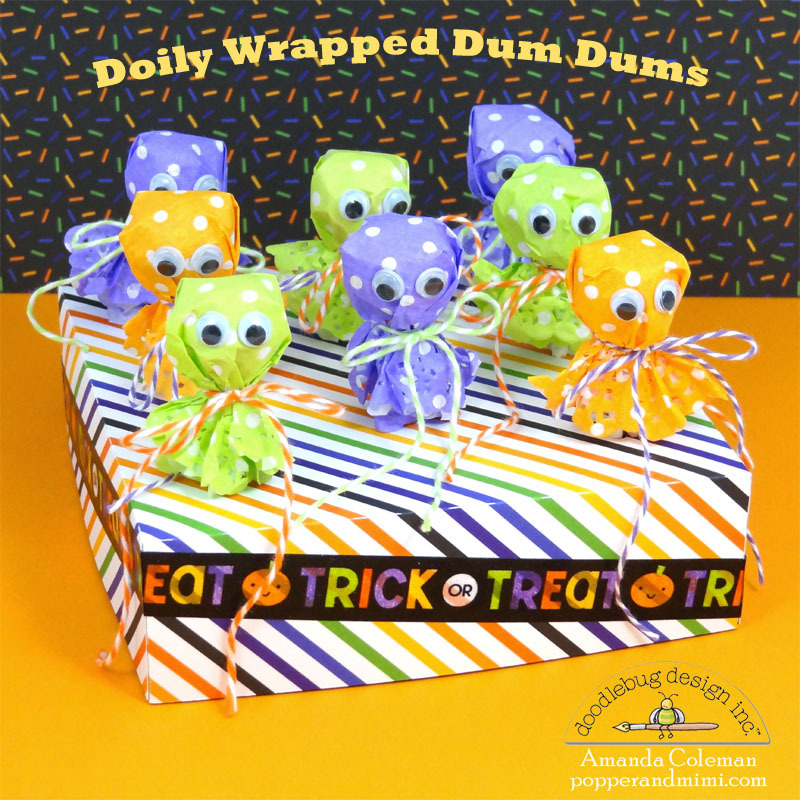 Oh eek...these are so stinkin' cute Amanda! Oh, the kids will love these spookie treats! They are so cute! I love how put goggly eyes! 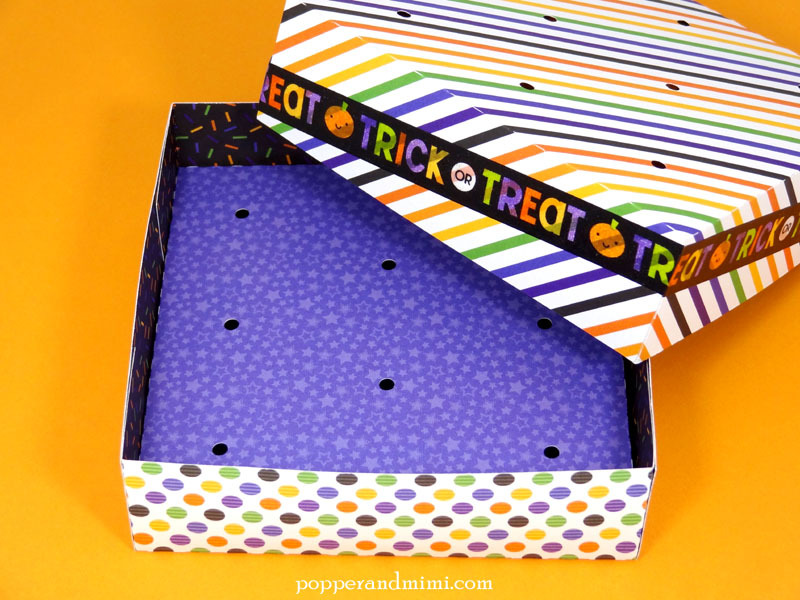 Pinned to my Halloween paper craft board! They are the most BOO-tiful Halloween treats EVER!!! 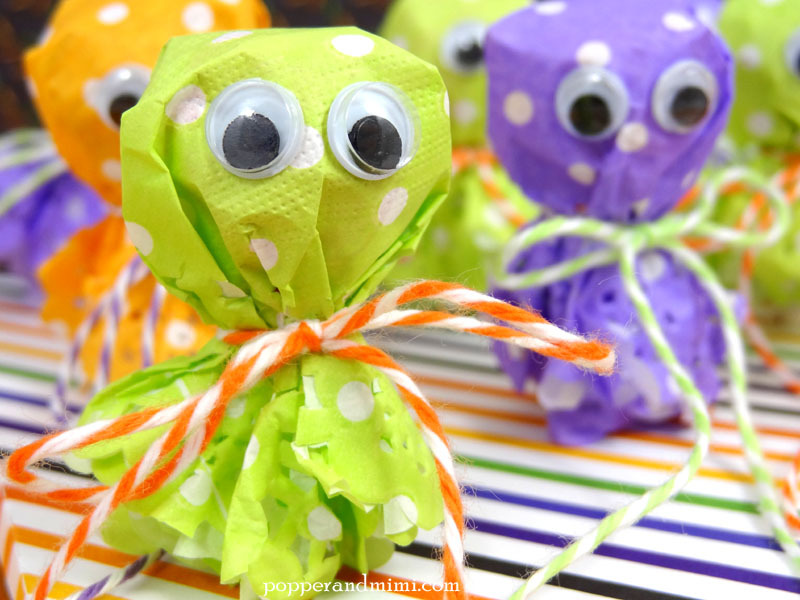 I pinned this adorable project. Also pinned to my doodlebug folder. This is a fun way to use doilies! I pinned this cute project! What a fun idea, thanks for sharing! What a fun collection. I LOVE that washi tape! This is such a cute project and I can see me recreating this for my kids on the school bus, just a bit more candy LOL!! Such a way clever idea - I love how you made the box for them to stand up in - You go, girl!! This is awesome! !